This piece was originally published by CNN. Click here to view the article. 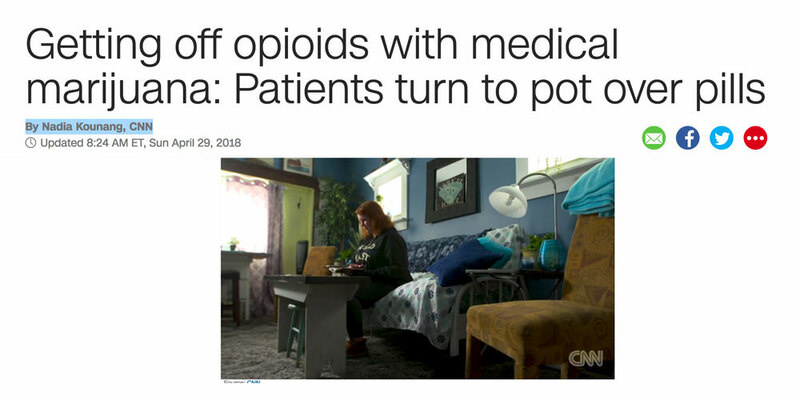 (CNN)In 2016, opioids killed more Americans than breast cancer. The drug overdose epidemic has become one of the most concerning public health issues of recent time, and in an effort to stem the tide, moreg and more patients and doctors are turning to pot over pills. For much of the past two decades, 51-year-old Angie Slinker took a cocktail of narcotics, antidepressants and anti-anxiety medications to manage the pain stemming from a car accident in 1998. She had between 50 and 60 surgeries, but her pain persisted, and doctors kept giving her more pills. Her then 22 year-old son suggested cannabis. The relief was quick. “I realized immediately that there are medicinal properties within cannabis,” she said.